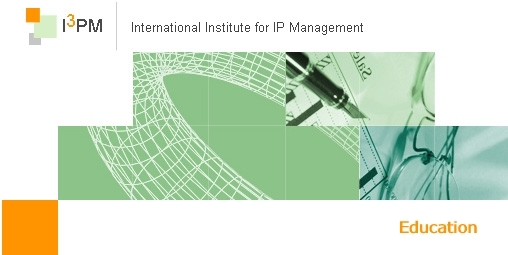 The discipline of effectively managing intellectual property can best be grasped by a combination of course and case studies. This framework can be supplemented by interacting with practitioners in the field (e.g. I3PM members), leveraging accumulated knowledge (e.g. the Knowledge Center) and attending live events on current issues (e.g. conferences). This section overviews a spectrum of courses in the field specifically related to I3PM. Courses range from self-study distance learning (WIPO), through online lectures (EPO), intensive face-to-face professional level industry training (FORUM) to a full fledged executive Master's degree in the subject (CEIPI). The different course flavors allow one to get an initial feeling by sampling the subject via distance learning, at one end of the spectrum or at the other undergo an immersive academic Master's degree for maximum learning and knowledge. The middle range of courses consequently trades-off time vs individual tutoring vs curriculum completeness. I3PM members can also avail of research fellowships to become domain pioneers by writing their Doctorate in the field.